Normally we are not diligent enough to do our tax planning at the beginning of financial year. It is kept for last three months and in these three months, most of the financial products are being sold. Many of us end up buying costly insurance policies in a hurry to exhaust the limit. Though, it is always advisable that, we have to plan the tax savings from the beginning of a financial year, we continuously fail to do that. Another great thing to remember is that, during the tax planning, don’t consider the options only because of tax saving, you have to always keep in mind the wealth creation. Though, it is always advisable that, we have to plan the tax savings from the beginning of a financial year, we continuously fail to do that. Another great thing to remember is that, during the tax planning, don’t consider the options only because of tax saving, you have to always keep in mind the wealth creation. Though there are a number of options to save tax, I have chosen ELSS and PPF to aware about the tax saving options as well as building wealth and writing this article ELSS vs PPF comparison and Where to invest for Tax saving. The two most popular options for tax planning are ELSS i.e. Equity linked savings scheme and PPF i.e. Public Provident Fund. When ELSS helps you to build wealth through long-term gain of the Equity market, in the other way PPF helps you to build wealth through the basic fundamental of investing, the power of compounding. ELSS (Equity Linked Savings Scheme) is a type of mutual fund which is also a diversified equity fund. It has a lock-in period of 3 years which means you cannot take out the money before three years once invested. These funds offer tax benefits (Individual /HUF) under Section 80C of Income Tax Act, 1961 and the investment up to Rs 1.5 lakh is deductible from taxable income. PPF (Public Provident Fund) is a long term investment scheme for individual which offers attractive interest rate. Only one PPF account can be opened in his/her name. 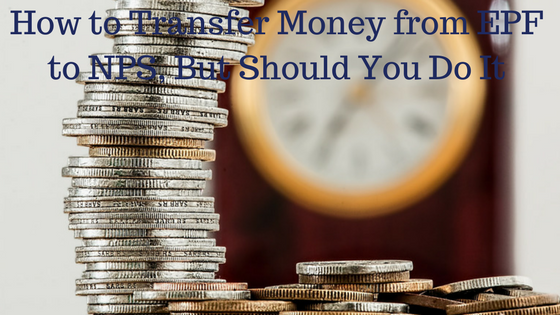 The maximum amount can be invested is Rs 1,50,000 in lump sum or installment basis. The return from PPF is tax-free. The duration of the investment is 15 years and you can increase the term in multiple of 5 years over the stipulated 15 years. The interest rate of PPF for the present financial year is 7.9% which is fixed by Ministry of Finance of Government of India at the starting of each quarter. The rate of return is now linked with 10 year Government securities bond. ELSS can give market linked return at a rate of 15-20%. The fund managers have more freedom to choose potential stock which may not give short term return but can give a handsome return over time because the fund has a lock-in period of three years. Let’s take an example of ELSS fund Birla Sun life Tax Relief 96 (G) which has CAGR of over 25% since launch in 1996 If you invest Rs 10000 monthly from January 2000 you can get Rs1.1 Cr by now. You can check the past returns for any mutual fund from valuresearchonline website. At the same time, if you invest Rs 1.5lakh every year in PPF, considering 8.7% interest rate, you will get Rs 43.02 lakh after 15 years. You can also distribute this Rs 1.5 lakh to the monthly contribution. 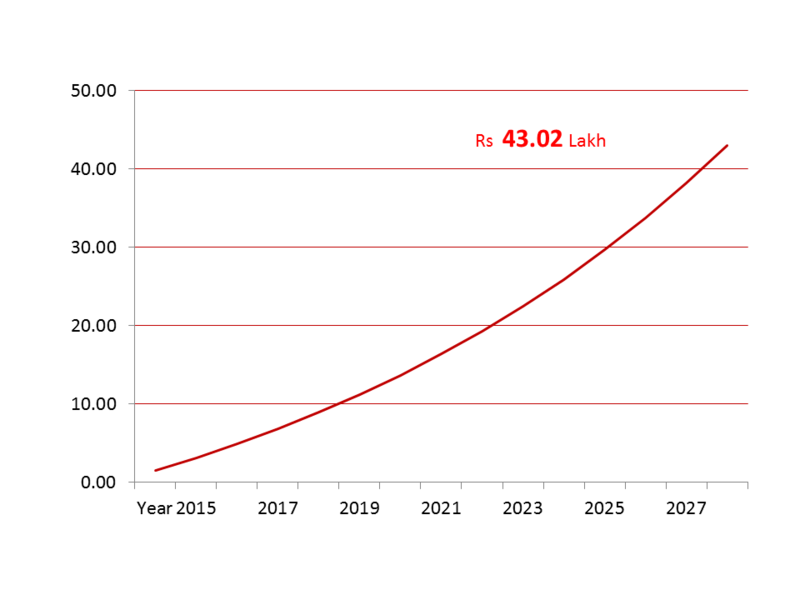 A monthly investment of Rs 12500 can fetch the maturity amount of Rs 46.1 lakh approximately. 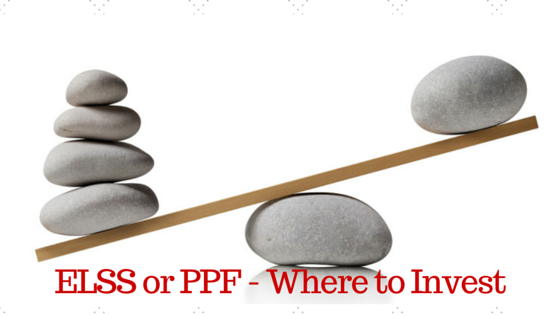 Now where to invest – ELSS vs PPF? Though it may look apparently that I am comparing ELSS and PPF in this article, but we should not compare the products as that will not be an apple to apple comparison. Both are good investment products and some advantages and disadvantages. Only the return on investment cannot be the judging factor. You have to access the risk also for getting that return. Even if you are getting more return on ELSS, you should not park the entire savings into this because of attachment of significant risk with it. On another way, PPF is one of the best debt based products and provides excellent post-tax returns. Recently, after linking the PPF return with 10-year bond and fluctuation in the rate of return, PPF is losing its shine. You don’t have to choose either ELSS or PPF. You can invest in both the products. The actual breakup between the two investment options will depend on multiple factors including your risk profile, existing asset allocation, financial responsibilities etc. Assuming you are young, it is advised to keep a good portion of monthly savings in equity products without ignoring good debt products such as PPF. My suggestion will be a percentage of invest in equity shall be (100-your age). If you are 30 years old, you 70% of your savings in ELSS and 30% of your savings in PPF. This asset allocation will give you market linked return which can easily beat the inflation and help to build wealth and at the same time by investing in PPF you will minimize the risk. Share the article with the world. If you have any views, comments don’t hesitate to share. Hey, sometime before I need information about ELSS or PPF but not got proper information. After read your post, I got excellent information that is essential for me. Thanks to give knowledgeable information.